Rotare Light, a custom fixture commissioned by Ivalo from LTL Architects, challenged the firm to consider the light as a seductive object and high performance luminance device. This allowed LTL to explore the design potential of ruled surfaces, a way of producing a curved surface by means of multiple straight lines. Rotare pushes advanced metal forming techniques to the limits, requiring a CATIA finite element analysis (FEA) to successfully realize the form. 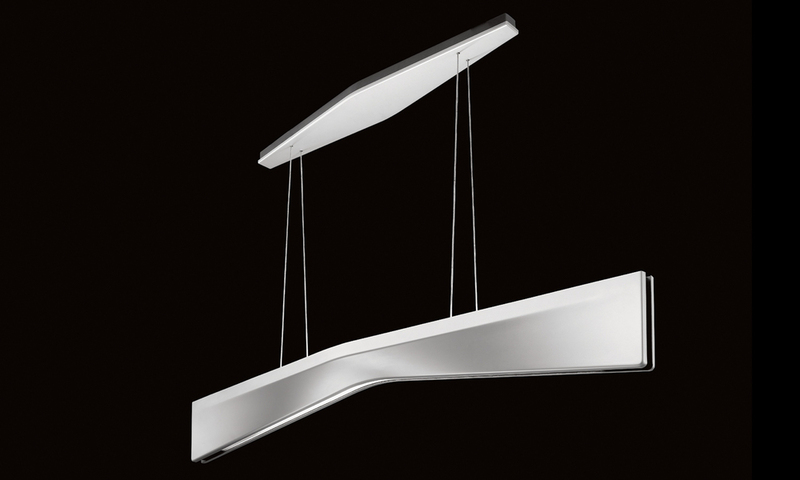 The Rotare Light is a 52 inch long direct/indirect pendant that continues Ivalo's tradition of innovative design, superior craftsmanship, precision optics, energy efficiency and elegant form. 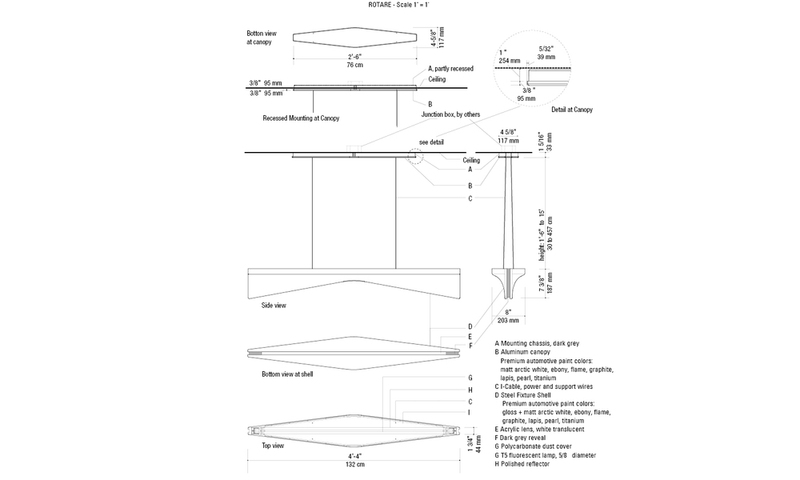 The canopy is a projection of the rotated form onto the plane of the ceiling, detailed with a reveal to give it delicacy and to allow for recessed applications. The pendant is suspended with an elegant I-wire cabling system that eliminates the need for a visually distracting power cord. The broad distribution of light serves as a smooth ambient light source.